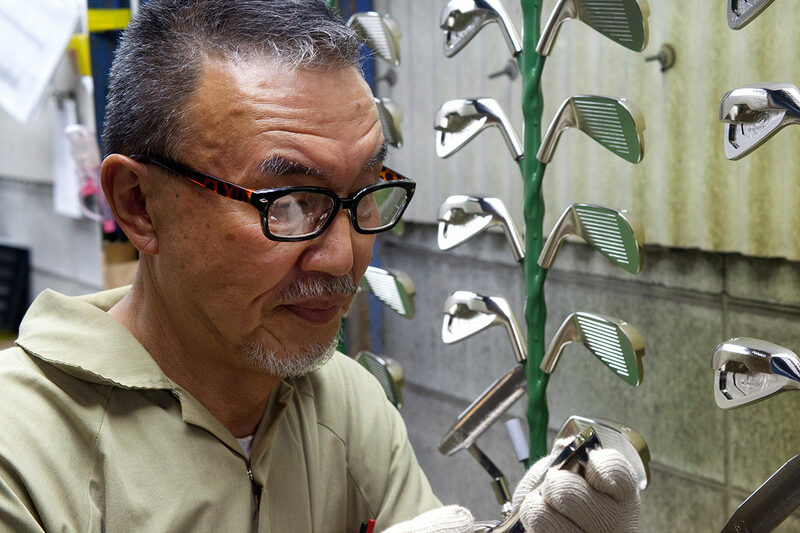 Kyoei Golf is not looking to become a great master craftsmen group who makes one and only product. A group of master craftsmen (meisters) makes all-out efforts in creating products every day. We have a mass production system where the master craftsmen (meisters) are engaged in every process. We don't have great and famous craftsmen, but we have many highly skilled craftsmen with decades of experience. Therefore; we make very high-quality products with precision unmatched by other manufacturers. 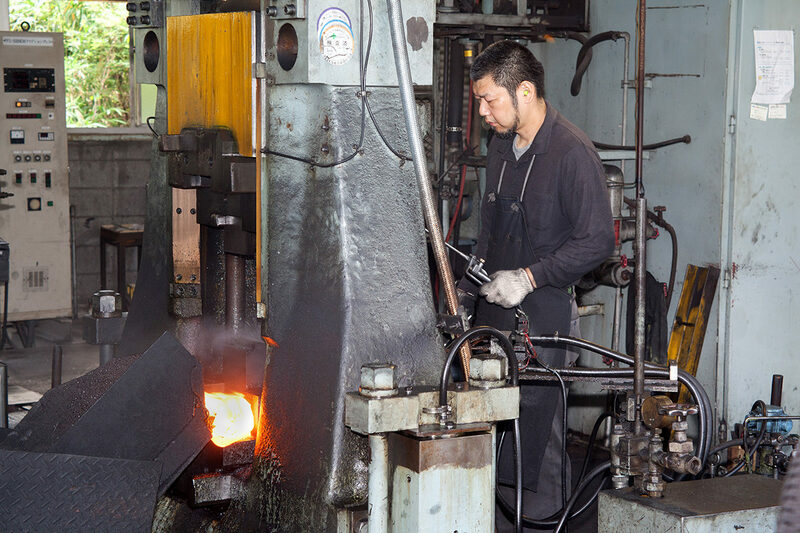 A grinding Meister Isao Okamura is a factory manager. form. I will keep doing training in order to meet our customers’ needs and satisfaction as much as possible. I'm engaged in all forging processes from mold polishing to temperature control. of the mold by touching it. At the stage of rough blocking impression and finishing impression, whether you can finish in the desired shape is crucial for forging. You must not make a mistake when you shave and scrape the forging dies. satisfied with our beautiful golf club head. humidity, and the weather. The plate is like a live creature. Every single day, the more effort we put into our products, the more beautiful they become. You can't produce the exact same thing as before no matter how hard you try to recreate it due to subtle changes in temperature of the day of manufacture. It feels like as if I interacted with live creatures, so I am never satisfied with the finished products 100%. I strongly believe that to keep pursuing perfection with all my heart is the best way of generating great products.